Do I have enough weight? Often fishers will add split shot above their top fly. The purpose is to get the nymph down to where it belongs – rolling along the bottom of the run. The more weight, of course, the more tricky it is to sling your fly. How much weight to use is a judgment call. I use a couple split shot to start – and add or subtract based on what is happening in real time. Is my top fly at the right depth? If you are quickly moving from run to run, then most likely each run is different in degree from the previous one. Plus, each run moves at varying speeds as your flies move up and down the water column. I make continual adjustments to my strike indicator when I’m at work on the river. That means moving it up or down, depending on whether I’m getting snagged. If I never snag on the bottom, then I need to move the strike indicator up some, thereby forcing my top fly down to the bottom of the run. Should I use a dropper or trailer fly? 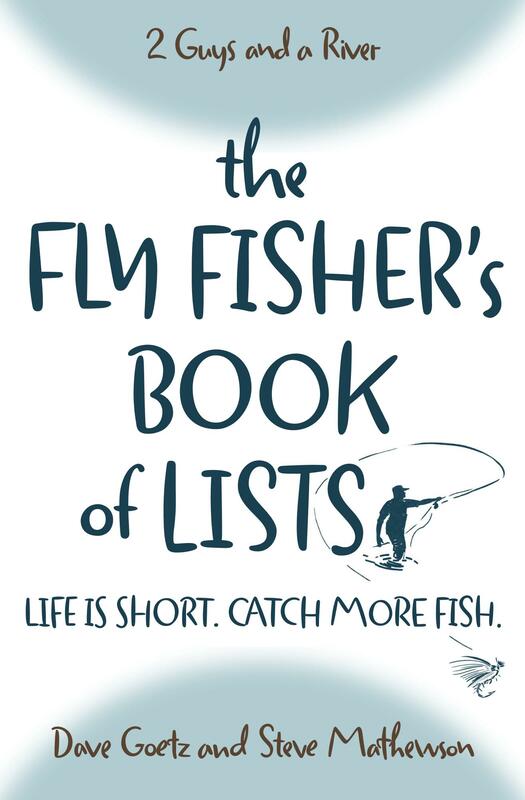 If you’re just starting out, I’d recommend getting comfortable fishing with a single fly. Some folks fish with three flies. I generally use two. There are a couple ways to tie on multiple flies. Find one that works for you. Am I mending well enough? No. This is the chronic challenge of fishing nymphs. Keep at it! Is the twitch a strike? Newbie fly fishers tend to be slow to strike (or “set the hook”) when the strike indicator twitches or dips below the surface. So are veteran fly fishers. Should I change my fly? Work on your mend. Pay attention to the depth of your flies. Move to the next run. Okay, now you can change your flies. What should I change to? Is there a hatch on? If so, then try an emerger. Then try a slightly different color emerger (if you have one). Other options: Go smaller. If you’re fishing a #14 beadhead pheasant tail, drop to a size #16. Penultimate option: Switch to a streamer. Final option: Go home and clean the garage. Unfortunately, nymphs are my flyfishing weakness – since I’ve opted for the final option far too often. Thanks for the tips, though. In the future, I hope that my garage will not be so tidy! Good advise /. Still learning as my garage as never been cleaned. Or maybe you’ve got it figured out if you don’t need to go home to clean your garage! Fishing is always better than going home than doing work even if you are not catching anything (peace and relaxation). Just listen to the sounds around you or Just watch the pools. True! I need to whack that last point!